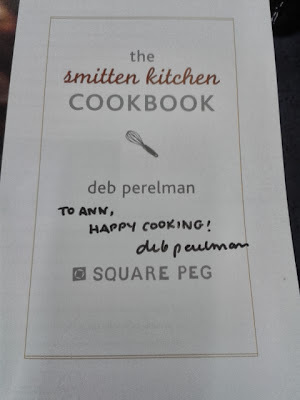 AnnieThing for Food: Cookbook Signings by Famous People! 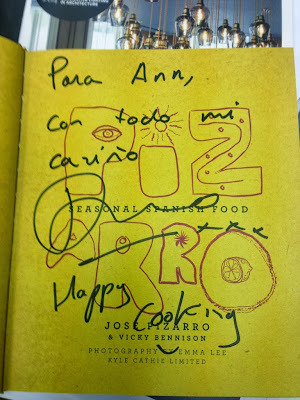 Jose Pizarro sends his love! It was a lovely evening, listening to how each of them started out as bloggers, and through their pure love of food and sheer hard work, became renowned published cookbook authors. Working with food all day, then writing about it - what a dream job! Also talking about the changing world of food writing, and what inspires their cooking and writing were Rosie Lovell (Supper with Rosie), Ellie Grace (Kitchen & Co), and Tim Hayward (Food DIY).